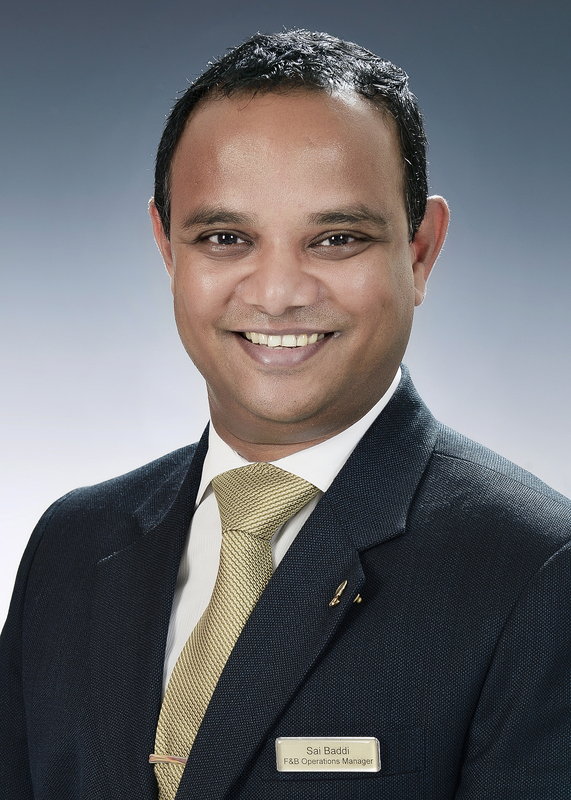 FORT LAUDERDALE, FL – Saikumar “Sai” Baddi is Food & Beverage Manager for The World, the largest privately owned residential yacht on earth. Mr. Baddi is responsible for the operations of all restaurants, bars, officers’ and crew mess and hotel stores. He also manages the Food & Beverage department’s recruitment, restaurant reservations, research and product development, training programs and operating procedures, and oversees dining, public health and hygiene standards. He works closely with the Executive Chef, Beverage Manager and others to bring on Guest Chefs and Wine Makers from around the world and to plan special events that ‘bring the destination alive’ for Residents & Guests. Mr. Baddi began his food and beverage career at the legendary Taj Mahal Hotel Mumbai and from there held supervisory roles at the Jumeirah Group in Dubai and opening their exclusive Burj al Arab Hotel. His seagoing career started with Cunard’s Queen Elizabeth 2 followed by the Queen Mary 2 and Queen Victoria where he oversaw their signature fine-dining restaurants. He joined The World in 2008 as Maître d’ Hôtel and over the years was promoted to Restaurant Manager, Senior Restaurant Manager, Assistant F&B Manager and his current position in 2015. Born in Hyderabad, often referred to as the Silicon Valley of India, Mr. Baddi currently resides in Visakhapatnam in Southeast India. He is a graduate of the Indian Institute of Hotel Management and Culinary Arts and holds a master’s degree in F&B Management from Cornell University in Ithaca, New York. His hobbies include cooking, tasting and studying on wines, studying international cultures and traditions, visiting farmer’s markets, and spending time with family including cycling with his daughter and playing soccer with his son.